This week we were learning all about our British Values: The rule of law, Democracy, Individual liberty, Mutual respect and tolerance. 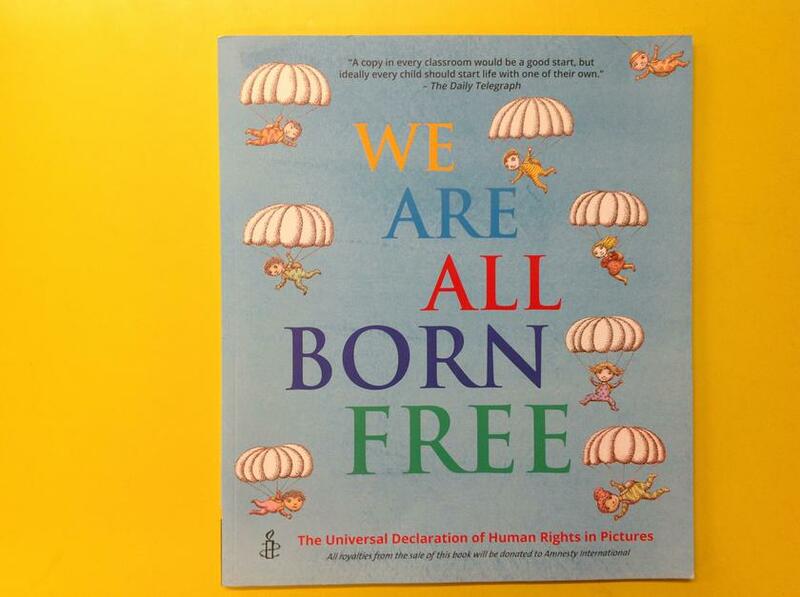 We read some of the Amnesty International book 'We are all born free'. 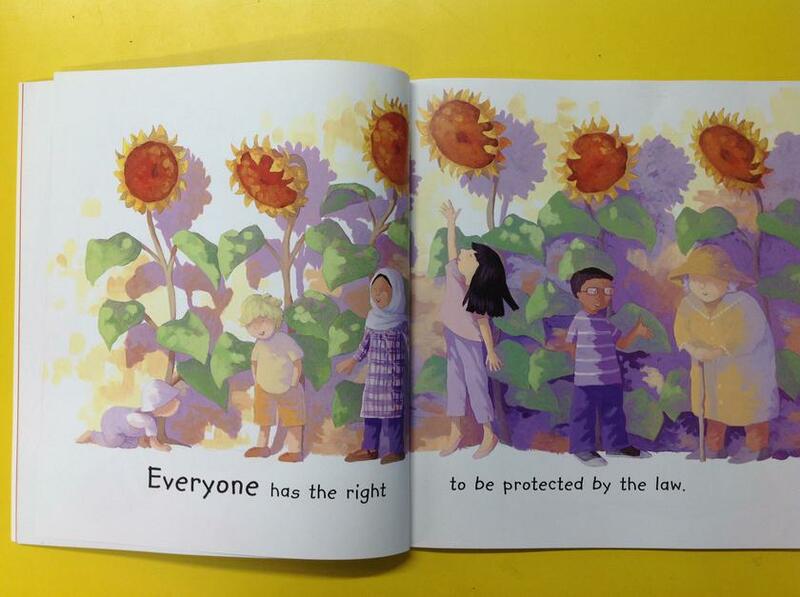 We looked at the Dinosaur picture talked about how we are all individuals yet still respect the rule of law. 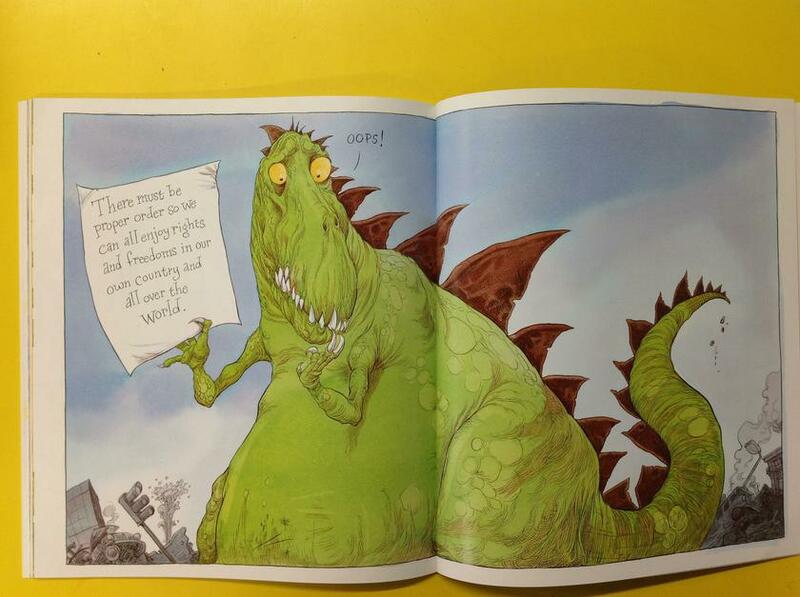 We imagined that the Dinosaur had just been trying to get to the Cockshutt chippy but didn't follow the rules and accidentally damaged some of Cockshutt! 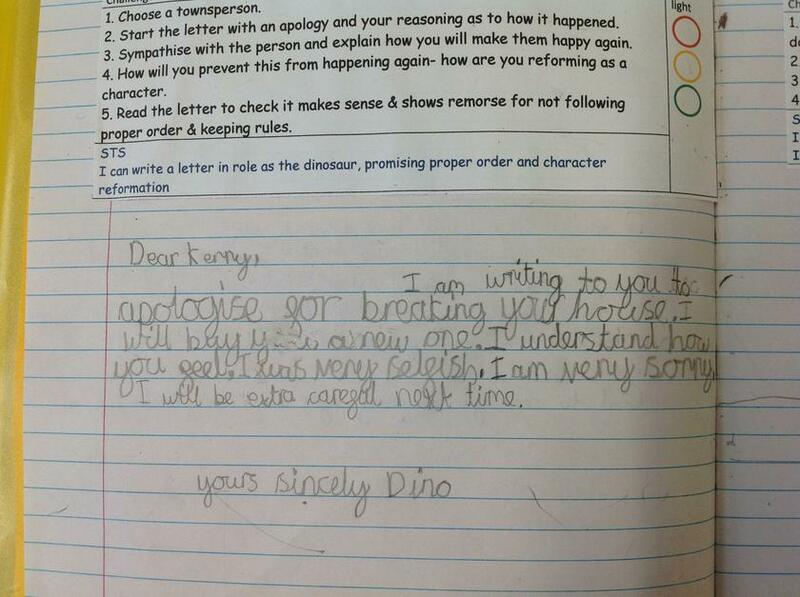 So we wrote a letter of apology as the Dinosaur, trying to sympathize with the people who were affected. 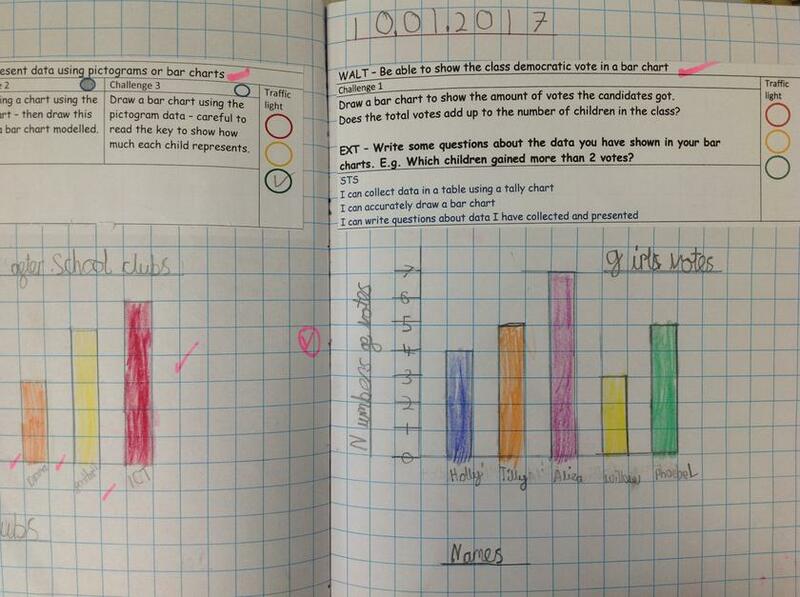 We practiced being in a democracy, as we wrote speeches to become a 'class representative' and then voted on the candidates as a class. 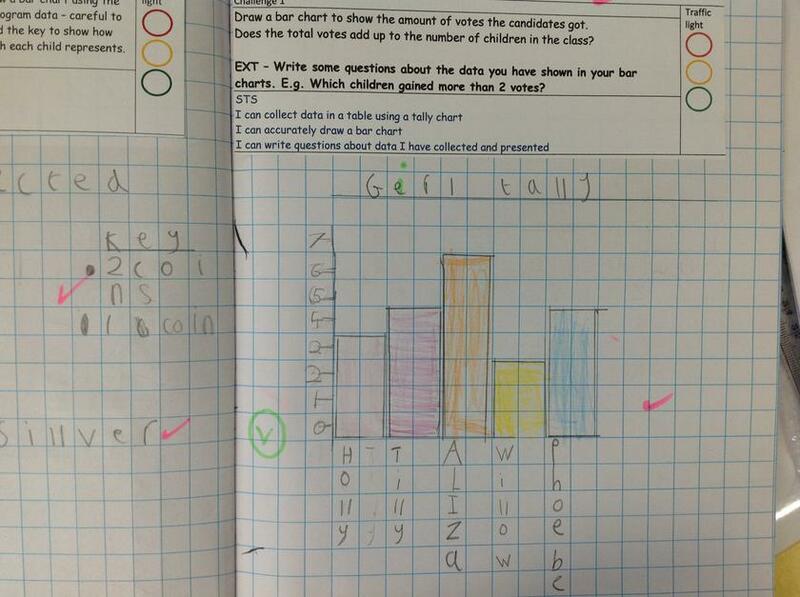 We followed this up in maths by drawing up tally charts, tables and graphs to show the class democracy. The class studied the picture the different people under the sunflowers and discussed what it meant. We also discussed how people can be different and how we must respect these differences.